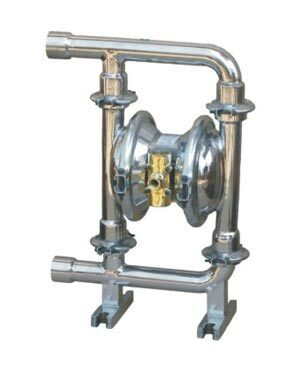 Diaphragm Pump Stainless Steel PTFE 1 1/2" available | Northern Look Inc.
Teryair Stroke Diaphragm Pumps operate on a simple mechanism involving few moving parts. They are versatile workhorses that can be used in a diverse range of pumping situations across numerous industries. They are efficient and easily serviced. With the proper selection of pump materials they are capable of handling a wide variety of fluids.